Luckily, some airports understand the stress that comes with traveling with your pet,and are setting up amazing areas for you both to relax before your flight. BOTTOM LINE:There are multiple outdoor spaces set up especially for you and your pet at JFK! When it comes to our furry friends, this airport really has it all. HOT TIP:For pets traveling in cargo, a light meal 2 hours before you leave for the airport is recommended. HOT TIP:Many airports state that they have escorts to take you and your pet to a relief area outside of security, which removes the need to go back through TSA. If your airport doesn’t have a post-security relief area available, it may be worth it to ask about this possibility. 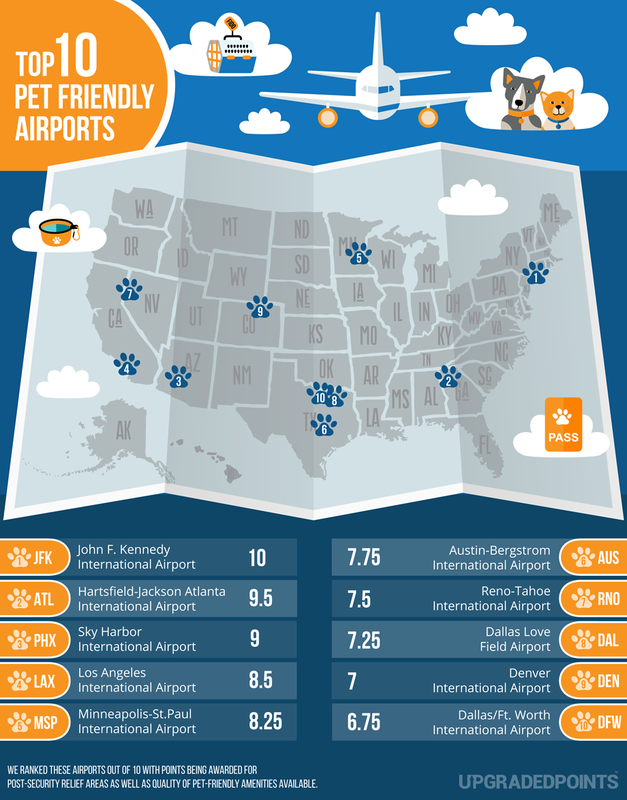 No Replies to "The Top 10 Most Pet-Friendly Airports in the U.S. [Study]"